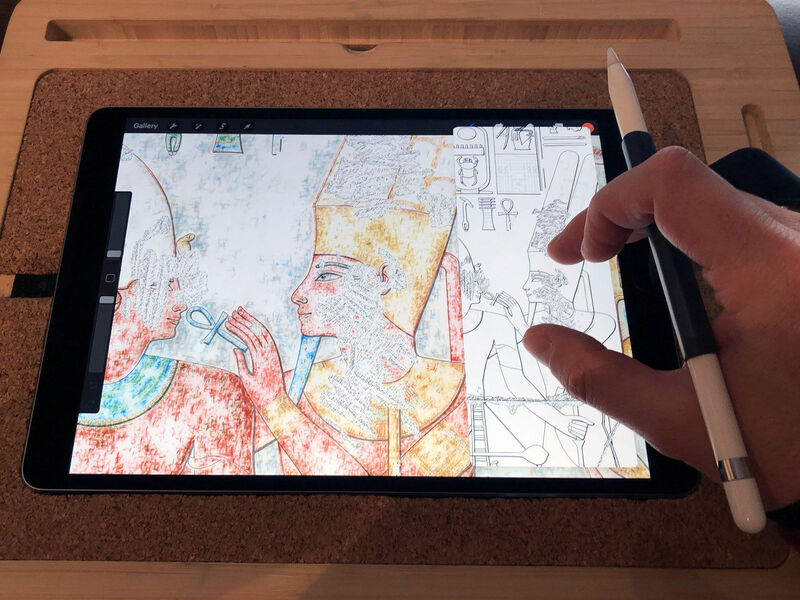 We at digitalEPIGRAPHY have been enjoying using Procreate since purchasing the first iPad Pro and the Apple Pencil back in 2015. Three years have passed, and we can still say it with a lot of confidence that Procreate might very well be THE reason for you to purchase the iPad Pro for your digital field documentation needs. We’ve tried all the best art and design apps available on Apple’s powerful tablet and Procreate is the one we keep coming back to. 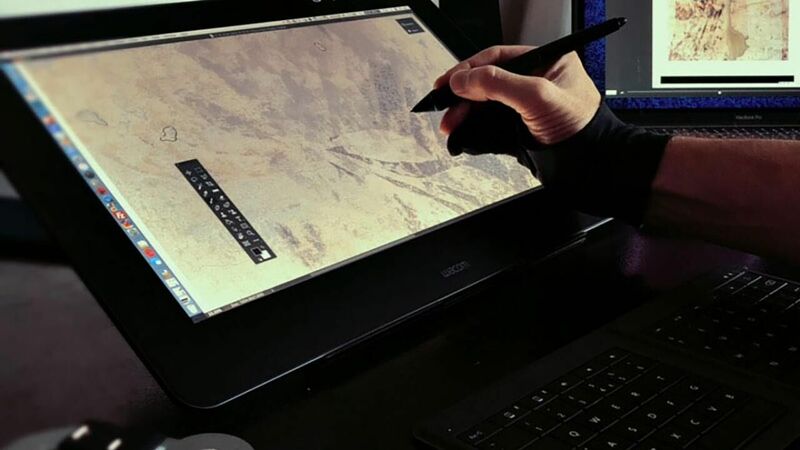 It has a fantastic and intuitive interface that is hidden when your focus is on drawing but has a surprisingly large array of features when needed. There are numerous highly customizable brushes to choose from while it is easy to create new ones to suit both your digital “penciling” and “inking” needs. Other features include a Quick Menu that one can open with a quick tap or flick to manipulate layers and transform the canvas – without breaking your workflow. And of course, most importantly, the drawing process itself is just excellent. 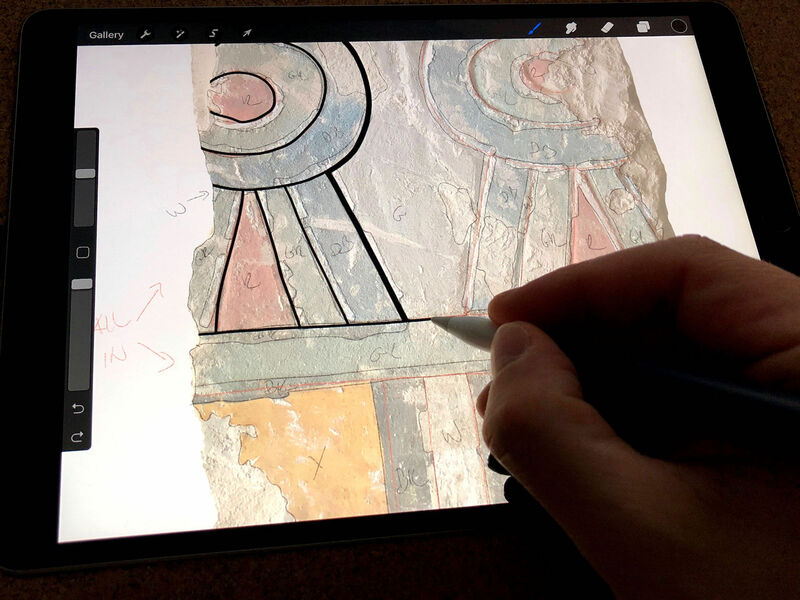 As we already gave you a basic list of Procreate’s main features in our Tools section, this time we’d like to focus on the software’s recent additions that are well suited for our day-to-day epigraphic documentation process. Most importantly, with its 4th iteration, Procreate specifically puts its focus on performance improvements. The original Open GL-based Silica painting engine has been replaced with Silica M, which uses Apple's Metal graphics platform. This, says Savage, the Australian company behind development, makes the application much faster and more responsive when you apply brushstrokes or change settings. What it means for us is that brushes are more dynamic and there is a lot less stuttering even with large, multilayered files. There are also improvements to the Procreate Gallery, which has been rebuilt to provide faster load time and better arrangement tools. 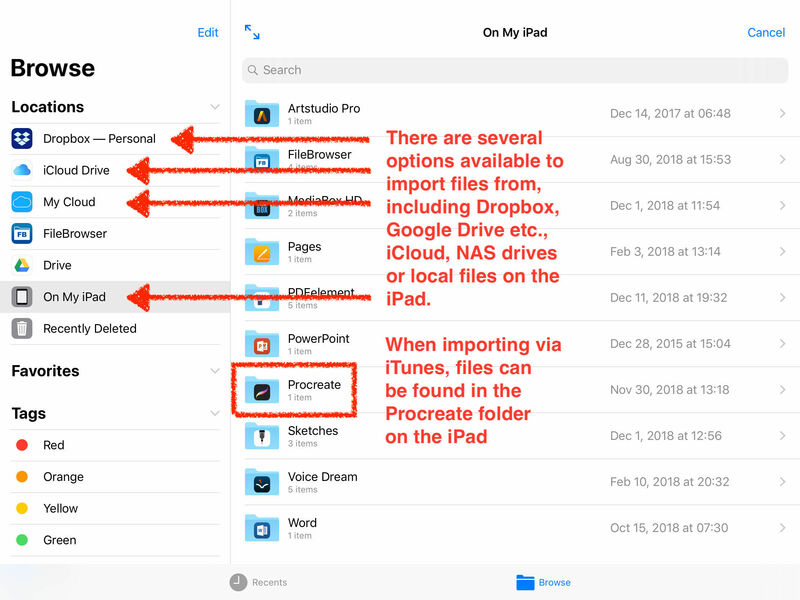 As we work with multiple software during our documentation process, it is crucial for us to move our files with ease between our Mac and iPad. This process has just become much faster and a lot more convenient thanks to the redesigned Gallery and the dedicated Import tab right on the app’s start screen. Finally, all our file storage options are just a few clicks away thanks to Apple’s redesigned file structure system, while such new capabilities as drag-and-drop change the way we will interact with the app from now on. 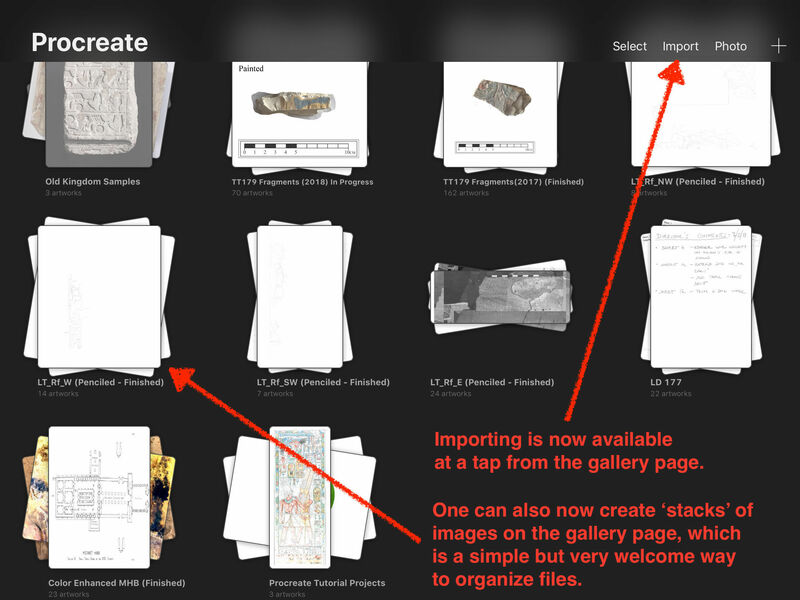 Sharing artwork used to involve going through multi-step import/export dialogues, now it is as simple as dragging a file into the Photos, Mail or Files app, or anywhere else you might want to put your reference image. What this means for us is that you don’t need to fiddle with a cable anymore to connect your iPad to your Mac when exporting a multi-layered psd file that was just created in Procreate. Instead (assuming your devices are connected to the internet) you just grab your file from the Gallery and hold it while opening Apple’s Files app, navigate to your Dropbox, iCloud or any other app you’d like to copy it to, and let it go over the right folder to create an exact copy. This is a much simpler way to back up your digital penciling at the end of the day or to email a quick reference jpeg to a colleague. 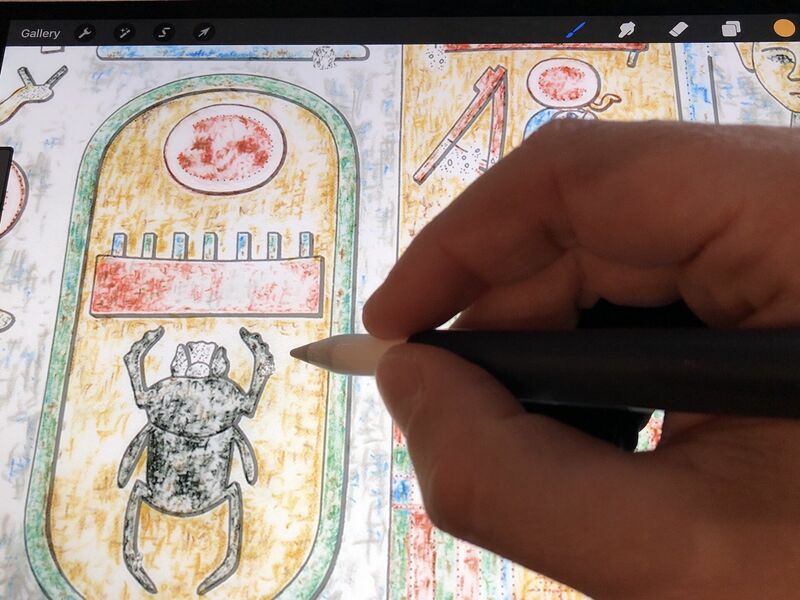 Although most of the interface updates in Procreate 4 tend to be subtle, it is clear from the overall experience that the software has been through lots of testing from top to bottom. We’d like to offer one more practical use case scenario that takes advantage of the interface changes: when a comparison image is needed to be present on screen for your reference. We often use Apple’s Photos app in split screen mode for such occasions. However, you can have Photos (or any app that supports this feature) floating in a small palette over a full-screen version of Procreate, so, when painting, you can quickly move your reference image around the screen if it gets in the way. 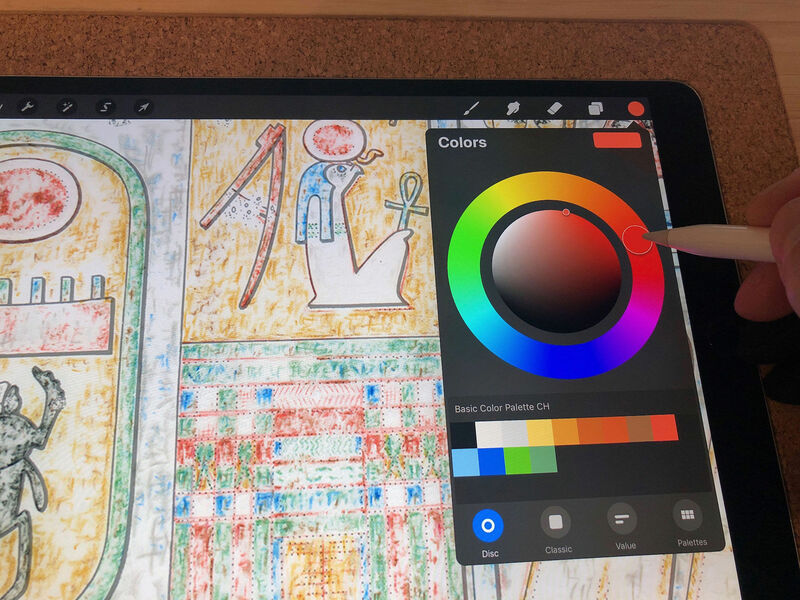 While Procreate 4 is mostly dedicated to user experience enhancements, its painting engine’s performance allowed the developers to introduce new painting effects such as wet painting, giving color drawings a more natural appearance. You can now experiment with specific brushes (like Old brush in the Painting set and Turpentine in the Artistic set) that support the new features or modify any brush to behave like wet paint. Dilution and Pull under Wet Mix in the Dynamics tab are the main settings for this specific behavior. As a result, we were able to create the perfect digital brush counterparts of Derwent color pencils we used for our color-enhanced drawings. If you’d like to get a little more adventurous with using traditional painting effects on your digital drawings, we’d recommend reading this article which gives you a little taste of the pros and cons regarding traditional mediums imitated in Procreate. With new brushes and effects on board, Procreate also widened the color palette that is accessible within the app. 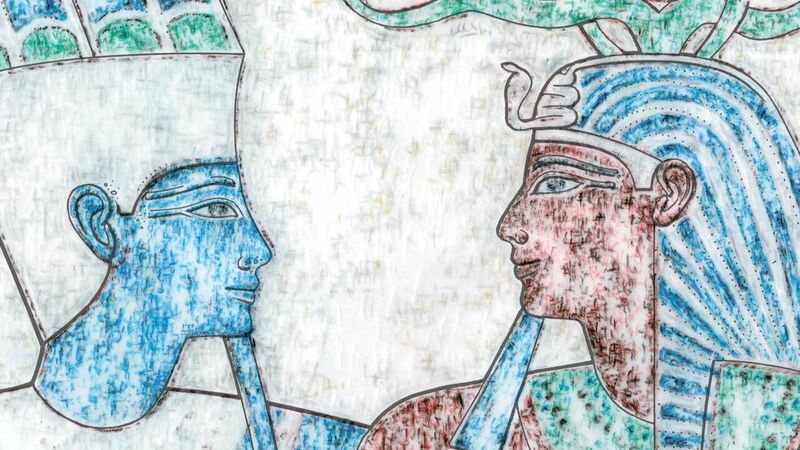 Thanks to its new P3 Wide color support we can mix and save the closest semblances to the individual color libraries appearing on any ancient Egyptian material, and create separate color libraries for each project we are working on. However, what really elevates the drawing experience to the next level is Savage’s major update, Procreate 4.1. With 4.1 the developers introduced advanced Symmetry drawing, Image Liquify, Warp Transform, customizable Drawing Guides, Layer Select gestures, and a total of 25 new gesture controls. Thanks to the new advanced gestures, we can now push, pull, expand, pinch, and twirl our drawings or any of their selected segments and use the live Reconstruct feature to tweak the changes to perfection, eliminating the need to erase every time we make a mistake. 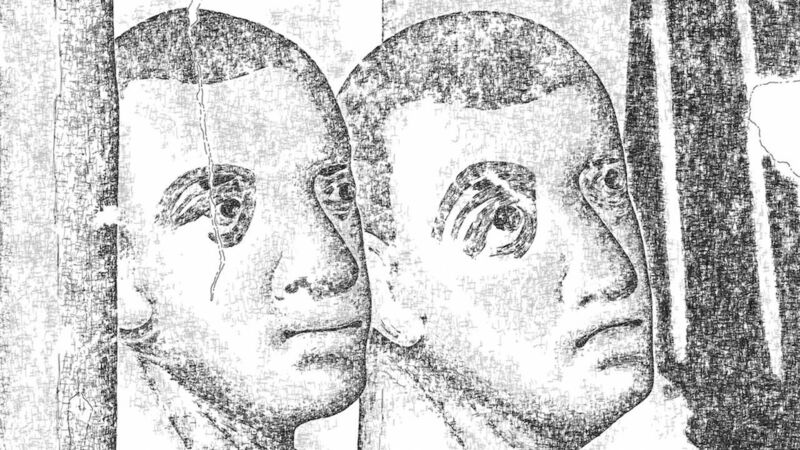 Incidentally, we should talk about the erasing process, which used to be a cumbersome and tedious effort since there are no customizable buttons on the Pencil nor any gestures easily applicable to quickly change brush to eraser in Procreate. In the past you either had to move back and forth between brush and eraser in the tool bar or call up the Quick Menu with a dedicated gesture. Procreate has learned from other software solutions, such as Astropad Studio, and realized that switching between basic tools without leaving your workspace is essential to a fluid workflow. 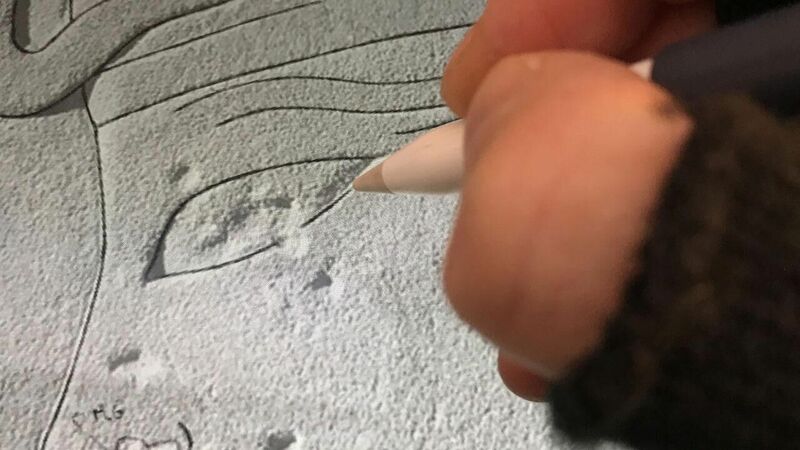 Their solution is still not as simple and elegant as Astro’s, where you just touch the canvas anywhere changing your brush to eraser in an instant, however it is close enough to fasten up the process considerably. There are numerous eraser shortcut options available in Procreate’s improved Gesture control panel. 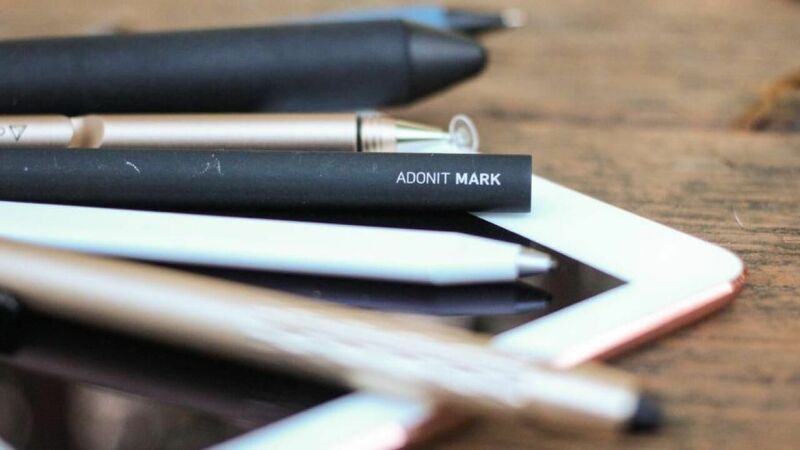 Although it is still a bit tedious to hit a tiny button for the switch, but we must be pleased with these changes while waiting patiently for the new, customizable Apple Pencil and its dedicated eraser side switch. Erasing in Procreate using the rectangle button between the brush size and brush opacity sliders. Once we are pleased with our shortcuts, sliders, and gestures, and our brushes are all set up to a satisfactory level, the drawing process itself is just as – if not more – fluent than before. There are a few extra control tidbits available at hand besides the well-known aids, such as brush smoothing (StreamLine), pressure and opacity control, straight line management etc. 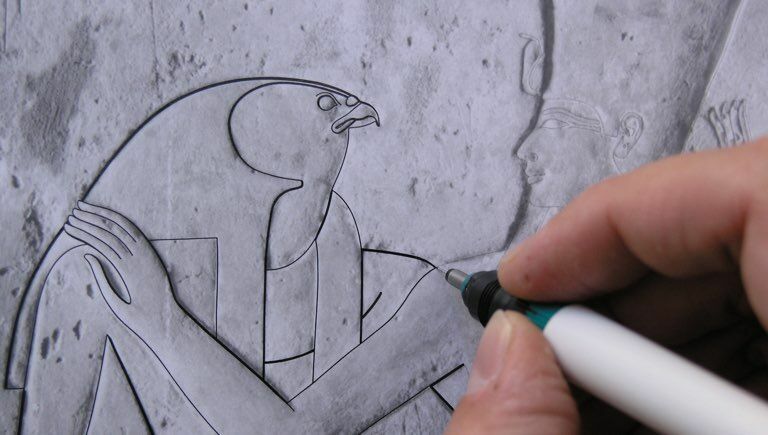 The more advanced features we use quite often when penciling digitally is Select and Transform. Procreate 4.1 also brings the new Warp Transform mode: with up to 16 adjustable nodes and intuitive depth layering, Warp can be used in conjunction with the Freeform and Distort Transform modes for some more precise and powerful changes. The new Layer Select gesture option meanwhile allows us to select a layer simply by touching the layer’s content. 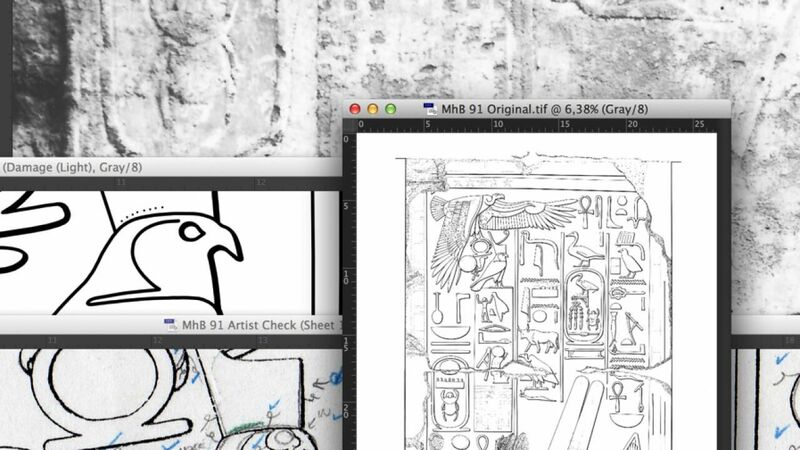 This means one can switch to the exact layer needed without leaving the canvas, giving us yet another reason to add as many layers as necessary to specific processes such as digital penciling. Finally, Procreate’s Perspective tools have also been expanded to include 2D and Isometric Guides. Accurate control over grid measurements will let you create the exact guides needed, and the added power of Drawing Assist snaps lines to the guide for fast, precise sketching. This new feature can come especially handy when creating isometric drawings of loose blocks and small decorated fragments. Furthermore, if you’re doing a lot of free-hand sketching in Procreate, there is a new feature in the latest version (4.2) called Quickshape, which turns your sketches of shapes into symmetrical forms, meaning your wiggly lines instantly turn straight by some magical algorithms. The newest update also has Clipping Masks, Crop, Inking and Selections redesigned for multitouch and the Apple Pencil, just in time for the second-generation Pencil’s debut. We should mention one more use-case regarding Procreate before closing this review: although Procreate is mainly recommended for creating our initial documentation in the field, it can be used in the studio as well, at least to a certain degree. There are solid ink brushes readily available in the app’s tool sets, making it relatively easy to create our own sun-shadow brush sets. Procreate determines brush weights using percentage instead of pixels, therefore you must be sure that your brush sizes are tailored to the appropriate background resolution, just like you’d do so in Photoshop. Of course, there are no vector paths to help us create beautiful curves, which are sorely missed and make cranking up the StreamLine brush assistance a must for digital inking. Keeping in mind the above caveats, we’d recommend using Procreate only to ink either smaller units, such as wall fragments, or to create wall maps where sun-shadow transitions can be omitted. Procreate 4.2 is a free update for existing users and costs £9.99/US$9.99 for new customers available exclusively in Apple's App Store. 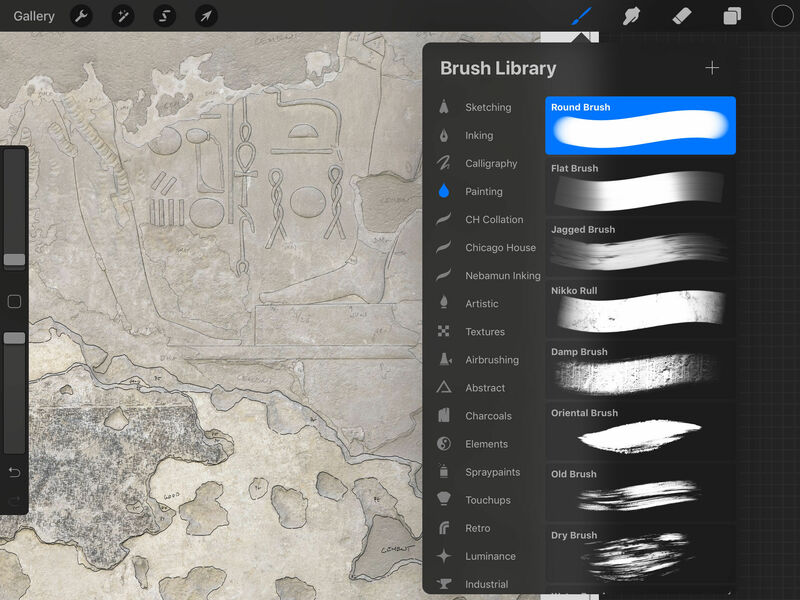 Certainly there is one more thing we ought to mention when recommending Procreate for our colleagues: Adobe recently announced its plans to bring a full Photoshop app to the iPad. While some of us might be looking forward to having a more robust version of Photoshop on our Apple tablets, those who have already adopted other creating tools, such as Procreate, might not want to invest into learning yet another new tool set, not to mention that Photoshop for iPad will almost certainly require a subscription. Procreate’s $10 pricing is appealing to professionals and amateurs alike. But anyone who already pays for a Creative Cloud subscription will get Photoshop on the iPad for free. For now, the developers behind Procreate say they aren’t worried, however, Photoshop’s arrival on the iPad could limit the audience of apps like Procreate to a smaller number of dedicated users who want to experiment with creative tools without having to subscribe. 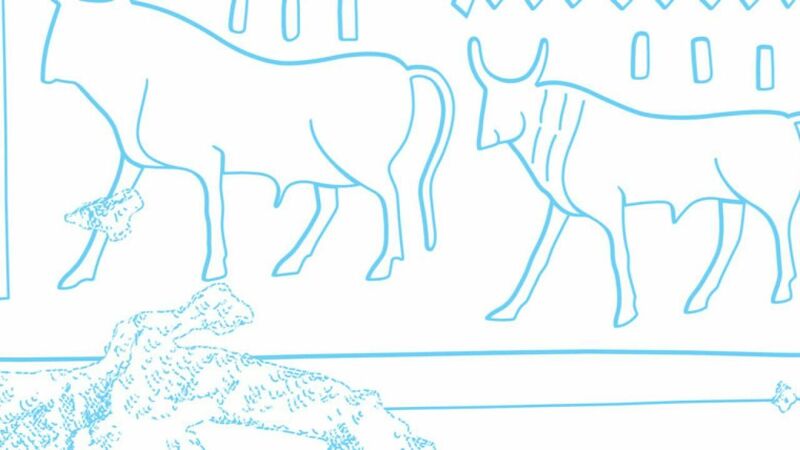 We shall see what the future brings for digital creations made on the iPad, but for the foreseeable future Procreate remains the king of the hill when it comes to digital field epigraphy.